Does the name Bezzerides ring a bell? At one point, he brought his parents, Marianthe and Aghapios -- formerly of 1409 E. Channel Street in Stockton -- to Los Alamos so they could be near the grand-kids. 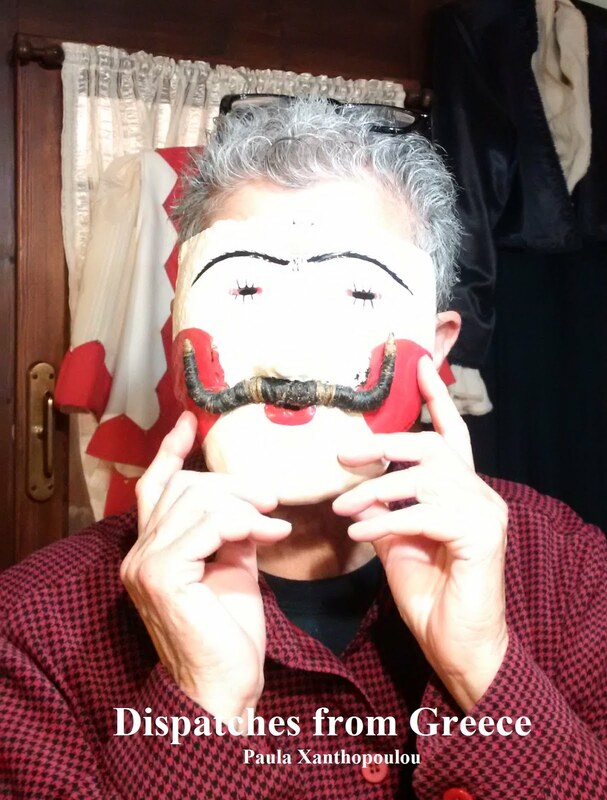 I visited Kyria Marianthe on a trip to Santa Fe in 1990 (he died in 1989), and she seemed very glad to see me. Did not get a chance to see Bandel then or now. But we did speak at length by telephone. Amongst my parents' papers/photos there was a letter Bandel had sent them in 1994 to let them know his Mom had passed, in his arms he told me yesterday. He then asked me how my folks were, and it dawned on me that I had not returned the favor in either 2002 or 2007. My bad. "I miss her dearly, but bow to God's will." he wrote about his Mom in that letter. Indeed he still holds his faith dear, but perhaps not as dear as his wife Elizabeth (a convert to Eastern Orthodoxy) does. She purchased a property down the street from their home and worked with others to establish Saint Dimitri Orthodox Church (OCA) of Los Alamos. Call that a labor of love. And their son Vasillios, a pediatric cardiologist in Boston, is married to Ann Mitsakos Bezzerides, Director of the Office of Vocation & Ministry at Holy Cross Greek Orthodox School of Theology. Oldest daughter, Annamarie, is Associate Vice-President for Advancement at Georgetown University. And Marianthe, a multi-instrumentalist since the age of 5, is a gifted composer. The fruit did not fall far from the tree. We spoke of his sisters, Margaret and Liz; both died of cancer some years ago. 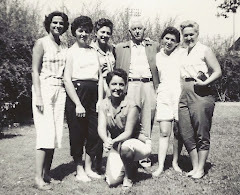 Margaret had five kids with Father George Makris (also now deceased). Peter -- the only one I remember -- is now a chiropractor in Portland, Oregon. Last but not least, we spoke of something else we had in common: Agnes Hoffman. She was an English teacher par excellence at Stagg High School that we both loved. Bandel, however, was Miss Hoffman's Gold Standard for the rest Greek-American kids to live up to and a very tough act to follow...I still hope we see him back in Stockton one day! On the Fourth of July, I usually think about small-town parades, one of my favorite things -- even though those beautiful, history-evoking celebrations are sadly few and far between these days. But today I am thinking specifically about baton-twirling. Seriously. 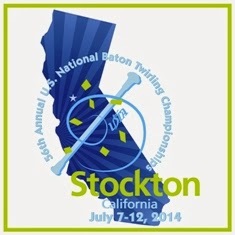 A few days ago the Stockton Record reported that the 56th National Baton-Twirling Championships will take place in Stockton, July 7-12. And I immediately thought of Alex Spanos' autobiography, Sharing the Wealth. I had been amazed to read that Alex and his siblings Stella, George and Danny had excelled at, of all things, baton-twirling -- and had also taken tumbling, ballroom dancing, piano, (ever so briefly) ballet, and tap dance lessons. Alex reported that "For some reason, baton twirling was his [father's] favorite." (p.27) Gus Spanos made batons from aluminum pipes and taught his kids how to twirl in their backyard. Stella Spanos Graham tells me that her mother Evanthia made all their costumes. It was a familiy deal. We know that the tap dance lessons eventually led Alex to Carnegie Hall with Bob Hope, but who still remembers the "Spanos Shows" at Stockton High School football game halftimes? "George and Stella," Alex wrote, "became so skilled that they entered and won competitions with routines that pushed the envelope of baton-twirling mastery. As a group, we won both regional and state baton-twirling championships." (p.40) Danny and Alex were also drum majors at Cal Poly, where the four of them performed on occasion. Opa! Neither Stella or my aunt Libby can remember any other Greek Stockton kids twirling batons in those days, but there is always a future...Baton-twirling is no lost art, and 500 participants will compete in the championships at the Stockton Arena next week from 8 am - 5 pm. There is no charge for admission, so maybe the entire St. Basil's Greek Dance Group (s) could observe. Who knows who the next Greek twirling champion(s) will be? Happy Fourth of July! NOTE: Alex Spanos' book is chock-full of historical information and observations. He was right on point in his analysis of the Greek economic situation and how difficult reform would be. (pp. 213 and 224). But he also wrote: "I am convinced that there hasn't been a Greek child born who enjoyed Greek School." (p.26) Sorry, Alex, but I loved Greek School...even those old public school desks in the back room of St. Basil's downstairs hall off Lafayette Street. Tsoureki any day of the week, even if your Yiayia didn't make it! 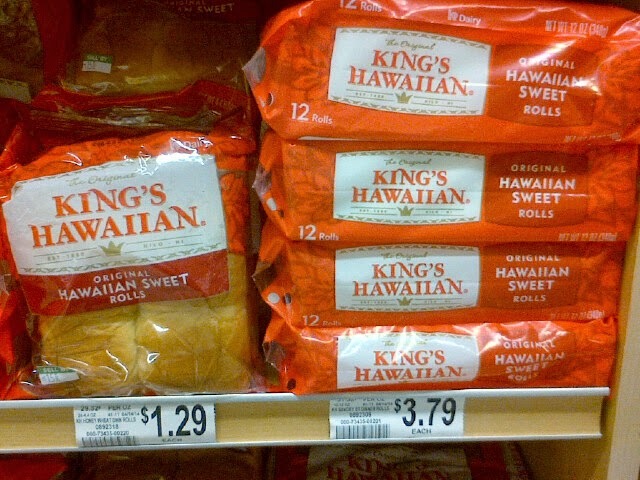 Always wondered about King's Hawaiian Original Hawaiian Sweet Bread, as it silently called to me from countless grocery bread racks over the years. Recently, I had a chance to try it, and my worst fears were confirmed: I can easily toast some of that bread and think I am eating "Greek Toast" made with tsoureki bread any day of the week! 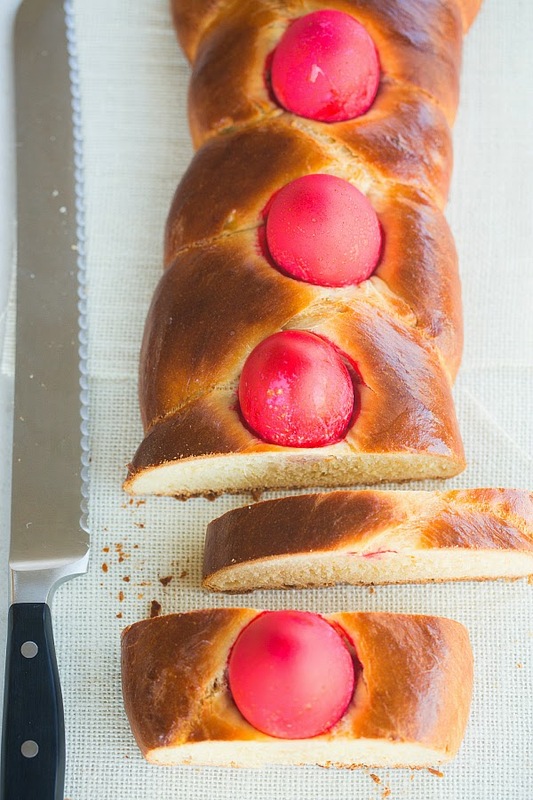 Tsoureki, of course, is the braided sweet bread made with eggs, milk and butter, usually by your Yiayia twice a year. 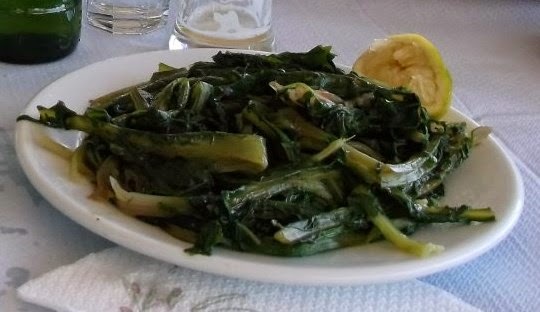 It is traditionally served on Easter with a red hard-boiled egg or 2 or 3 planted on top, or on New Year's Day as a "Vassilopita" with a lucky coin in it. I always look forward to toasting leftover tsoureki for breakfast and eating it with feta cheese. It could easily become addictive. The rest of the year there is usually no tsoureki and thus no "Greek Toast" -- unless there is a Greek bakery in town, you bake it yourself, or your are able to score a Jewish challah bread. But there is always King's Hawaiian Original Sweet Bread -- which comes in dinner rolls and sandwich rolls, as well as a large round bread and sliced bread. If you are on a budget (or prefer not to pig out), the small package of 4 dinner rolls will do just fine; I cut that square loaf into six neat slices. When toasting it, I savored the unmistakable scent of tsoureki. And even though it wasn't quite up to Yiayia standards, it was close enough...Voila, "Greek Toast!" 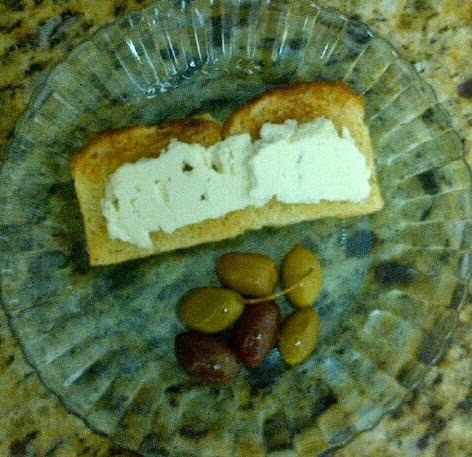 Tried it immediately with feta cheese, of course -- and, yes, real Greeks do eat olives for breakfast...Also tried it with orange marmalade and, for good measure, I slathered a slice with "Bees Knees" peanut butter w/honey. If I had some tzatziki handy, I would have tried that, too. Indeed, King's Hawaiian Sweet Bread Sandwich Rolls would probably make for fabulous gyro sandwiches rather than the usual (now kinda boring) pita bread. But for now, let's just keep it simple: King's Hawaiian Original Sweet Bread = (for better or worse) tsoureki any day of the week. NOTE: DO NOT try this at home during Easter or New Year's!